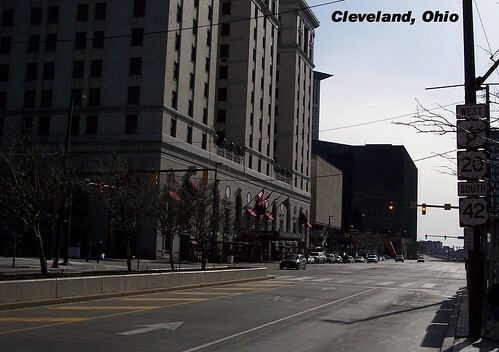 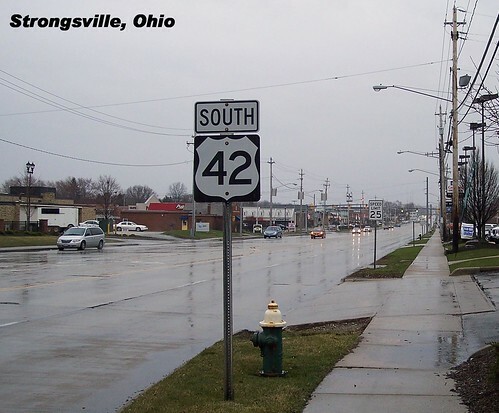 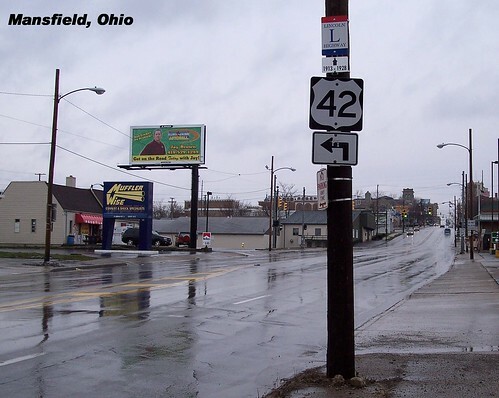 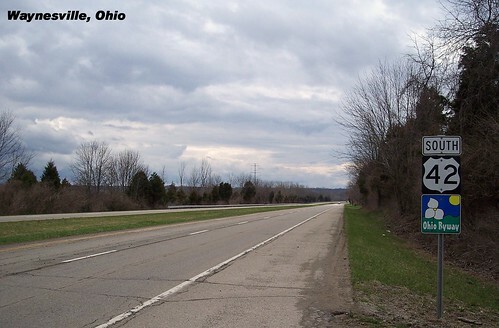 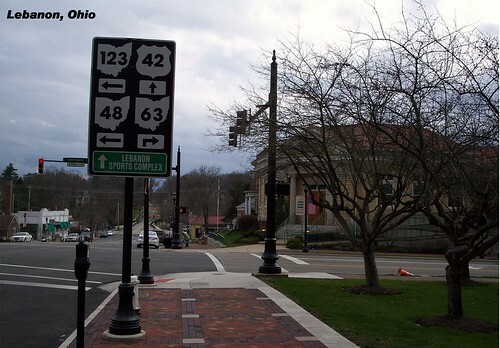 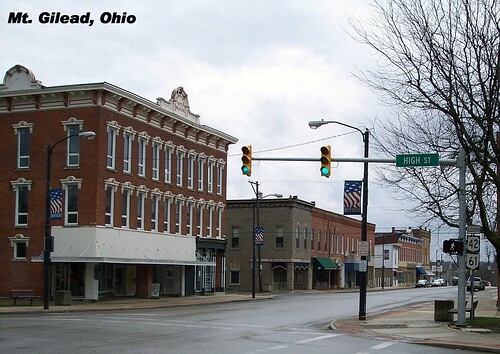 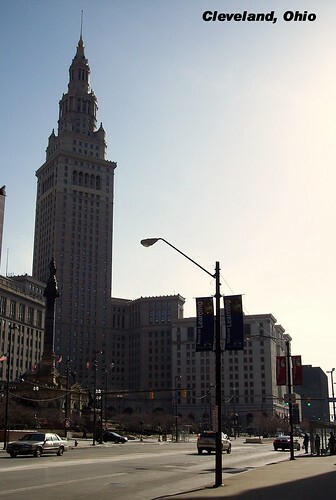 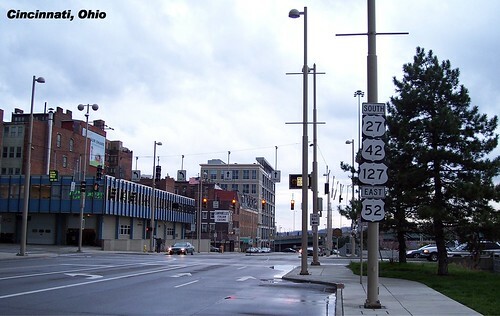 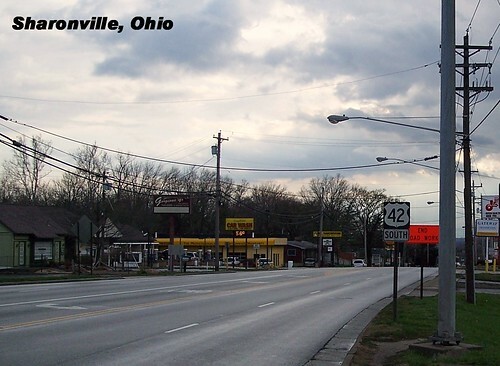 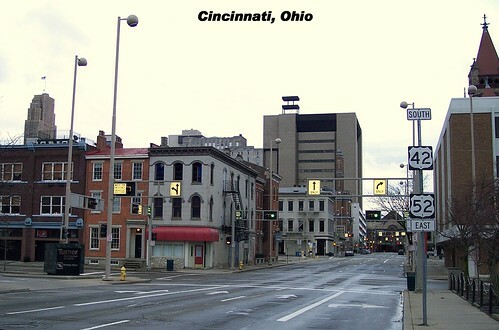 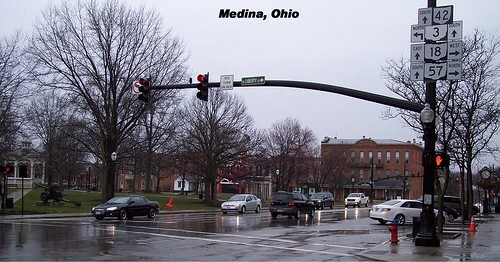 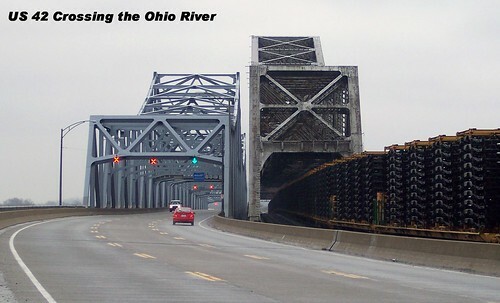 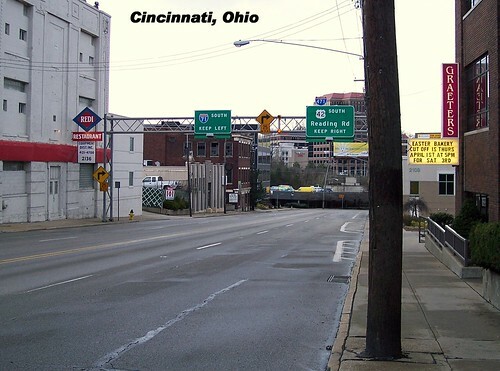 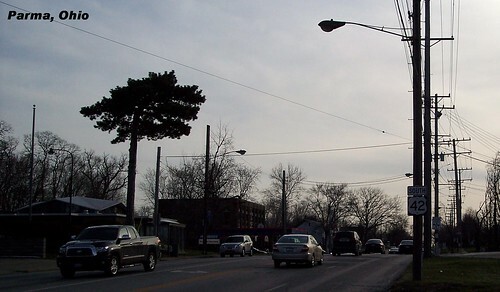 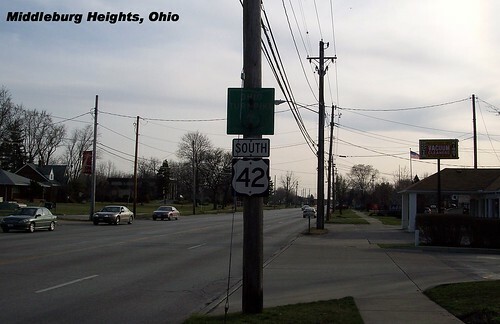 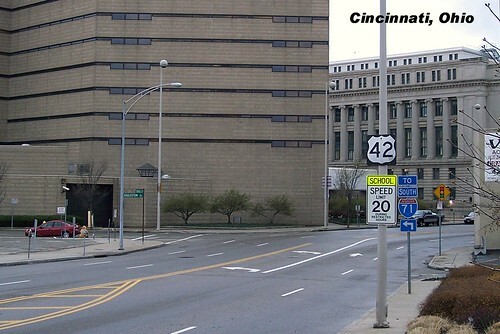 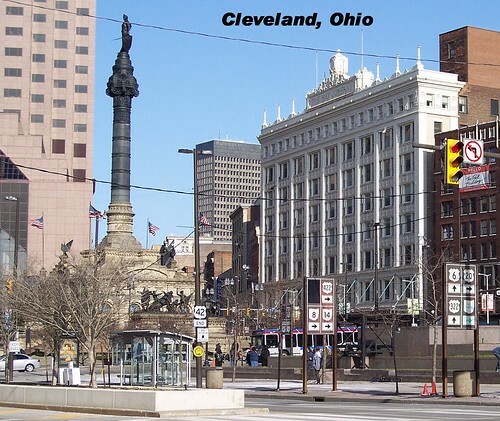 US 42 begins in Cleveland and follows US 6 and US 20 west initially. 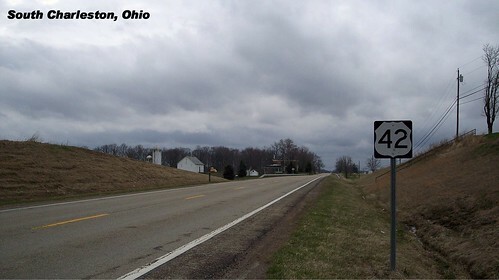 A sign marking the northbound end of US 42. 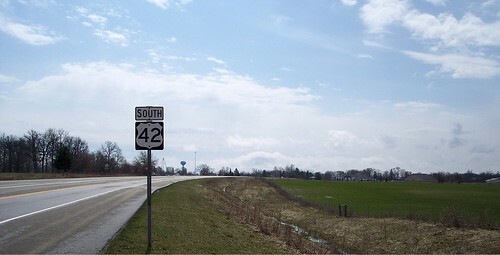 US 42 follows the Lincoln Highway for a short stretch.